It is a powerful way to strengthen a relationship, in the office and elsewhere. When you show appreciation, you shift your focus to the other person rather than yourself. In many cases, your efforts at appreciation make the difference between an awesome day and an ordinary day. As a project managers, you can get work done through other people. While you may pitch in with your team from time to time, that’s not the focus of your role. Instead, leading project managers focus on leadership and supporting their team. An unappreciated team member is unlikely to be highly effective. Unappreciated staff are more like to resign; those unappreciated staff who remain are likely to be less effective. The above data shows that appreciation is an important tool in the workplace. It is even more important for project managers because they have less time to build relationships with staff and often have limited access to traditional management tools such as performance reviews. The lack of traditional management tools simply means that project managers have to find other methods to inspire their staff and achieve results. Bringing up a dissenting viewpoint in an effective way is challenging. This goes beyond simply pointing out problems or vague doubts. When a project team member has the courage to express a different viewpoint and help the team work through it, that deserves recognition. Customer service is important on projects because it is often a key value for the organization as a whole. However, working with an angry or disappointed customer is challenging. When you see or hear about a team member who has successfully worked through a challenging customer service problem (e.g. during a testing session or during after-project support), their efforts merit appreciation. From time to time, the only way to achieve results is to work longer hours. Few project managers enjoy asking their staff to stay late. In those cases where an individual steps up to work an extra hour to finish an important work package, it makes the difference. Working all night is after a full day is rarely worth the effort, but an extra hour can make a world of difference. Several years ago, I joined a new department at a large company. It was quite an adjustment! Fortunately, there was a senior professional on the team who provided advice, training and other support to me. It made the difference in helping me to become successful in the role. As I mastered the tasks and activities he had trained me on, I sent him several recognition notes. In the project context, keep an eye out for these opportunities. In fact, you may wish to organize these buddy or mentor arrangements to reduce the learning curve for new team members. “Can we solve the problem with more staff?” is a common response to many problems in the project context. While that is a valid response in many cases, it is not the only response. Instead, you may have a creative team member who finds a way to automate a manual process – an improvement that could save hours of effort. That improvement is well worth your appreciation. Recently, I finished reading “The Success Principles” by Jack Canfield. It is a powerful book full of powerful ideas. In fact, this article was inspired by Principle 53 “practice uncommon appreciation.” The following model I will describe comes from the book. The theory suggests that people have a primary language of appreciation (though we can enjoy all of them to varying degrees). Speaking for myself, I appreciate receiving written notes and gifts. People that value verbal or written appreciation like to see read or hear appreciation express in words. In the work context, this can take the form of a paper thank you card, a thank you email or saying thanks works. 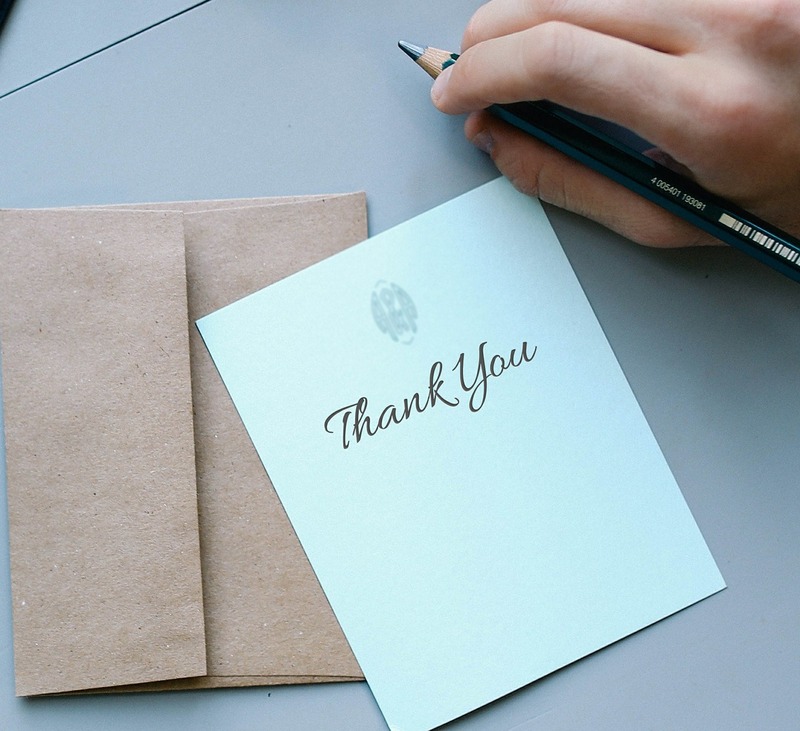 For guidance on what exactly to write in a thank you note, I suggest you look listen to the How to Write a Thank You Note podcast by Manager Tools. Expressing thanks through quality time is another way to show people that you appreciate them. In the professional context, there are several applications to consider. For example, one could take the project team out for lunch. In addition, I have seen some companies offer a “free day off” as a reward. For team members keen to grow and who have made outstanding contributions, arranging lunch with a top manager or executive in the organization is another organization. Giving someone a gift is a great way to demonstrate your appreciation. As many organizations have policies and guidelines on gifts, review these prior to making a purchase. As a general guideline, I suggest keeping the gift small and make an effort to connect it to that person’s interests. For example, if you have a reader on your time, you could give them a copy of your favourite business book (with a personal inscription). From time to time, we all need a bit of help. For people who prefer this type of appreciation, offering to complete a tedious task for them will make an impact. Your ability to use this approach effectively will depend on how well you know the person. Expressing appreciation through touch is an approach that suits some people. Of course, we have to be sensitive and thoughtful about using this approach in the work place. A gesture such as a handshake or pat on the back can be suitable. If you are in doubt about this approach, choose one of the other approaches such as a well crafted thank you note. Reflection: what kinds of appreciation make the difference to your work and why? Think of at least two different examples from your past work. Action: After reading this article, take the time to show appreciation for someone who makes a difference to your work.